Two years ago during a week in February I did something that would change my life forever. At the time, I was clueless to impact that action would have on me, the recipients of my act, and on the lives of hundreds, maybe thousands, of others. You have heard the story before. I have shared it here many times and it is probably the best story that has come out of the last three years of this project. It is the story of two coffees that were bought for two complete strangers. Two coffees that only cost me two dollars, but those two dollars might be the best investment I have ever made. Two coffees that provided hope for someone that good things could still happen. I am not going to tell you the entire story (you are probably sick of hearing it and reading it.) I will tell you, however, that I have shared the story with thousands of people over the last two years. I have shared it with groups large and small, young and old, and the reaction is always the same. Those that hear it are moved. Usually moved to tears. Women and men have openly wept as I have spoken because they can feel the true impact. The story speaks to them. That is why I share it so often. It changes the lives of others just like the experience change my life. It isn’t easy to share it as I often have a hard time getting through it without my voice cracking and my eyes welling up. It truly was a life-changing experience. It was validation that small things matter. It proved that you do not have to change your life to change the life of another. It taught me that there are no small gestures. Simple, yes. Small, no. A single random act of kindness can make a difference. That experience catapulted me, and our family, to live each day with purpose. We embrace each day and understand the opportunities that present themselves. Every day centers around positively impacting others. We, as a family, truly want to be kind to others every single day. This week, we participated in the Random Acts of Kindness Foundation’s week-long event of kindness. Just like two years ago, the week was amazing. Each day was filled with simple acts to offer a hand, help, and create smiles. Each night we would discuss the day’s events around the dinner table and talk about the responses of others. We opened doors for others, helped stranded motorists alongside the road, gave out some cards, acted silly at the drive-through window at a few restaurants, and many, many more. Oh, yeah, we also bought coffee for others. Surprised? It was a great week of bringing smiles to the faces of others through random acts of kindness. But I have to be honest with you. It was just another week for our family. We try to be kind each and every week. The acts that we performed this week did not stretch us outside of our comfort zones. 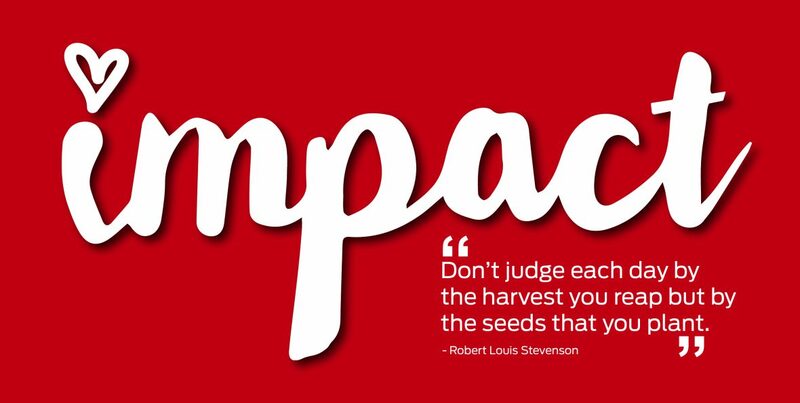 We have already made the commitment to impact others every day of the year. Yes, we had a great time participating. It was even more fulfilling to see so many others share their acts of kindness with us through Twitter, Facebook, Instagram, and email. That is why the week was so awesome. Not because we, as a family, did anything special. But because so many of you did. It feels good to be kind, doesn’t it? So let me ask you a question. Why wait until one week in February to be nice to people? Why not wake up every morning focused and driven on being kind? That is our challenge to you. Be kind every day of the year. Make others your priority. Put an emphasis on bringing smiles to the faces of others. Do not wait until a foundation proclaims a special week. DO IT EVERY DAY! When you do, you will realize that Random Acts of Kindness week is just another week.